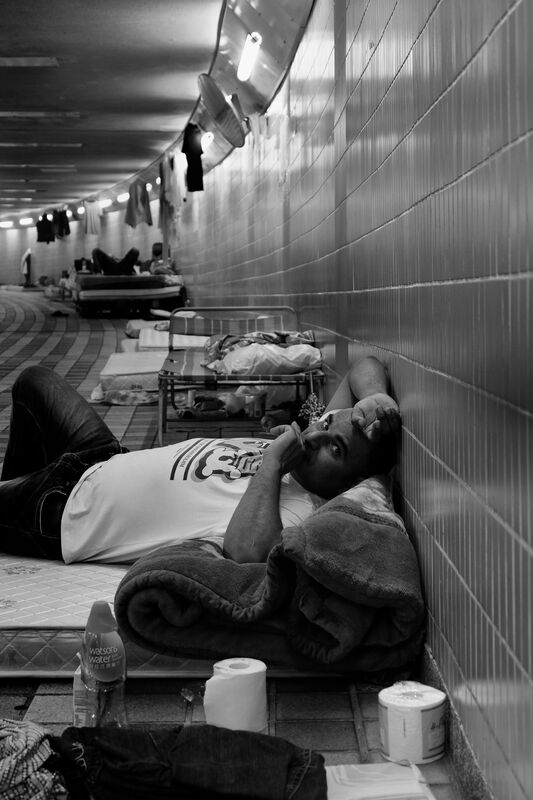 Photographer Xaver Konneker worked with NGO Refugee Union to document the life of a homeless refugee in Hong Kong. He shares Jerry’s story with HKFP. 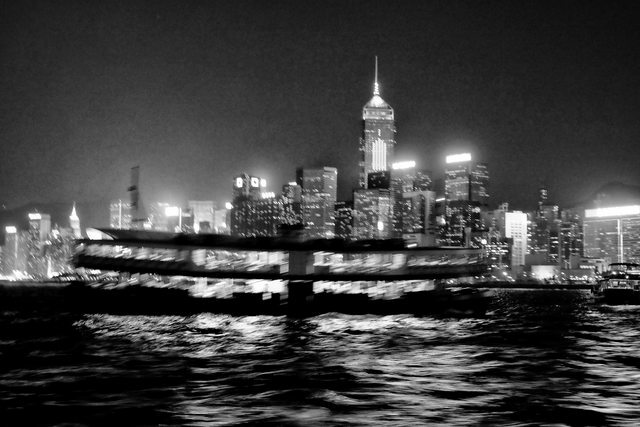 22 Aug. 2016 – A ferry doing its rounds between Tsim Sha Tsui and Central. As of August 2015, Hong Kong is home to approximately 9,900 refugees. Each are fleeing war, conflict and poverty. 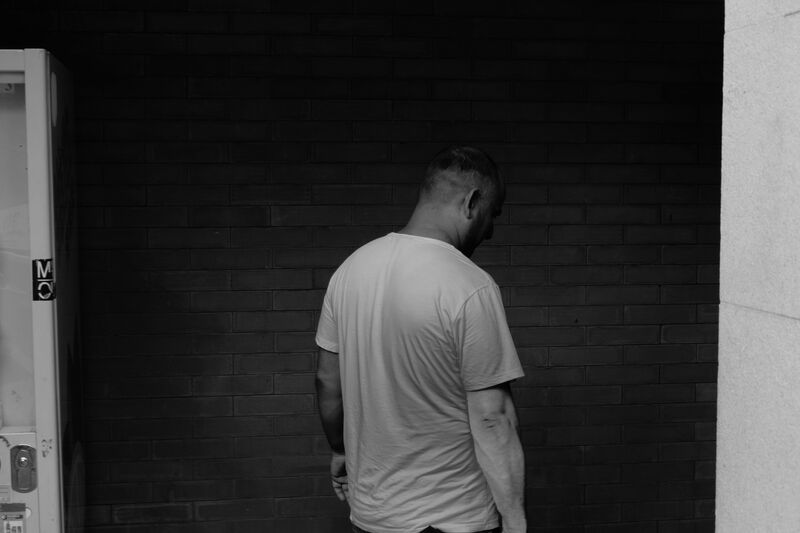 But from the moment they arrive, they are forced to navigate a system and society that systematically marginalises, oppresses and alienates them. 20 Oct. 2016 – Adella poses on a chair at the Refugee Union building in Sai Ying Pun. The Refugee Union aims to safeguard refugee rights and improve the protection, well-being and future prospects of all refugees. 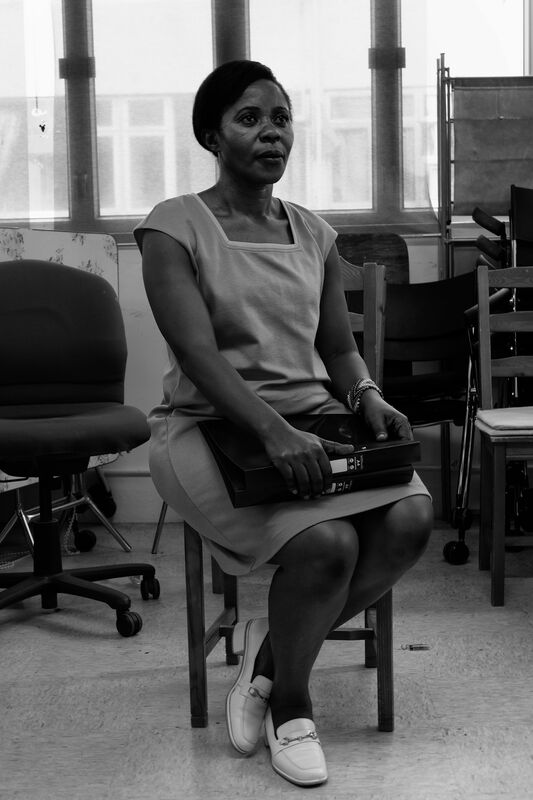 Adella, a refugee herself, is one of the NGO’s leaders. Despite her trials and tribulations, she carries herself with great dignity. 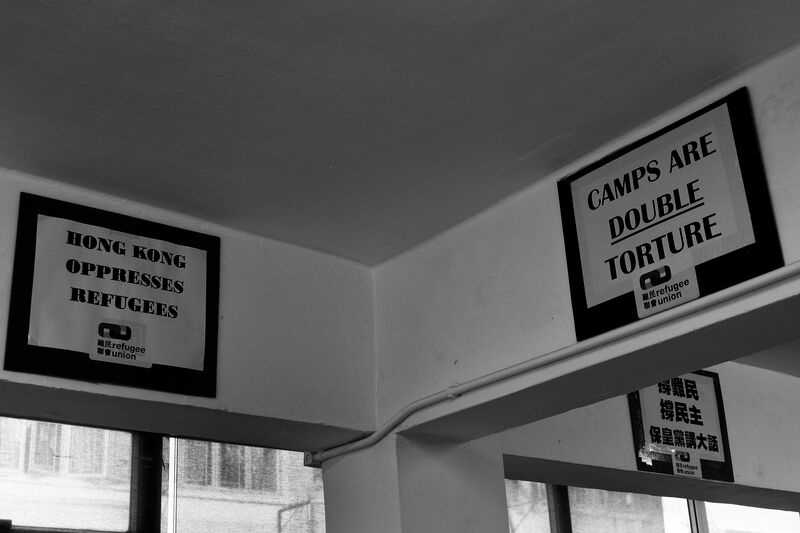 20 Oct. 2016 – Signs at the Refugee Union in Sai Ying Pun. The Union actively organises and takes part in protests that call attention to the human rights abuses suffered by the refugee community. 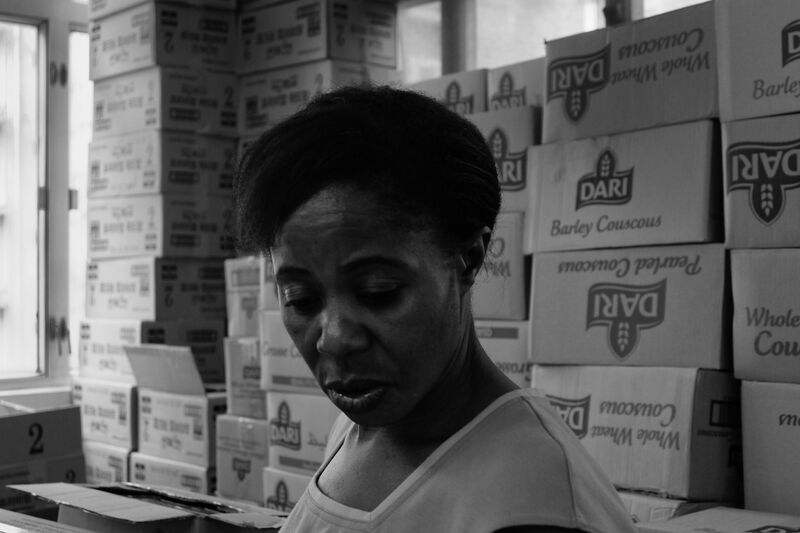 20 Oct. 2016 – Adella stands in front of boxes of food donations at the Refugee Union building. 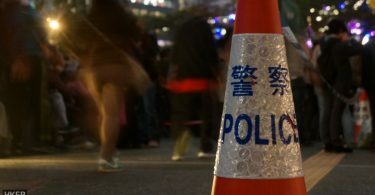 As refugees are prohibited from working, and receive negligent support from the Hong Kong government, many of them are dependent on food donations. 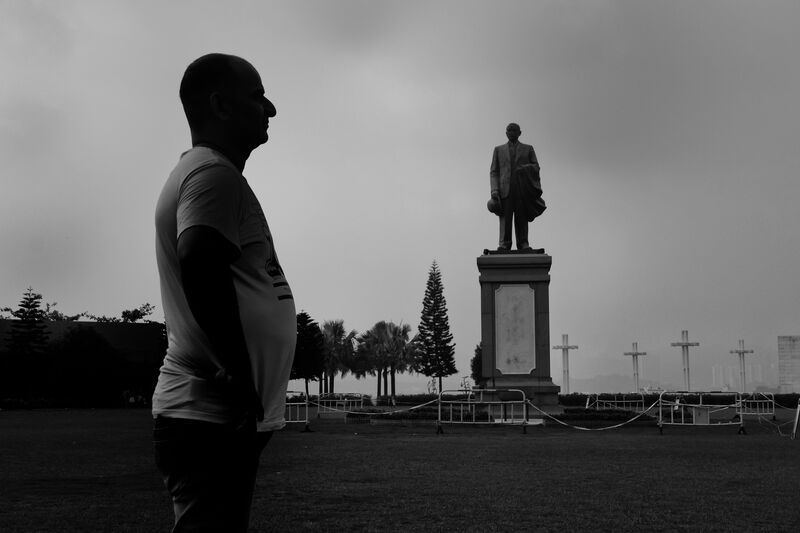 20 Oct. 2016 – Jerry looks over Sun Yat Sen Memorial Park. Jerry is a Muslim refugee fleeing sectarian violence in India. He says that he no longer believes in God. 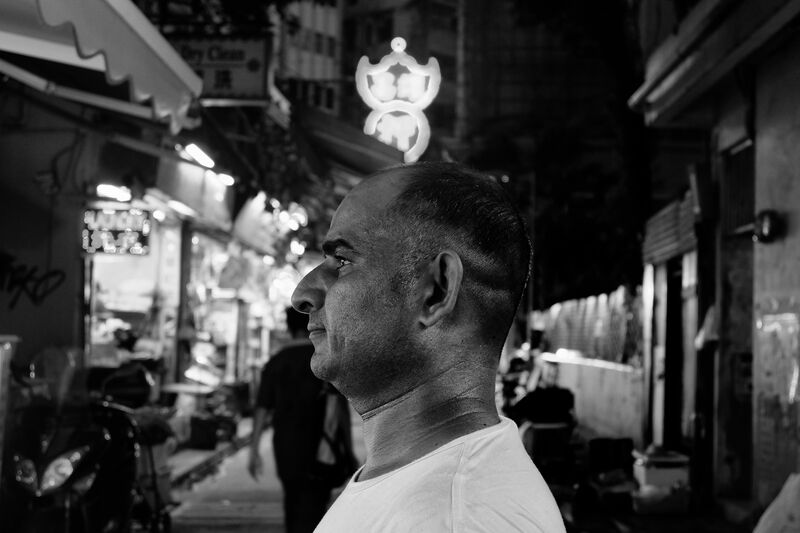 Two years ago, he fled to Hong Kong in the hope of a good life, but says – in many ways – life is worse now. 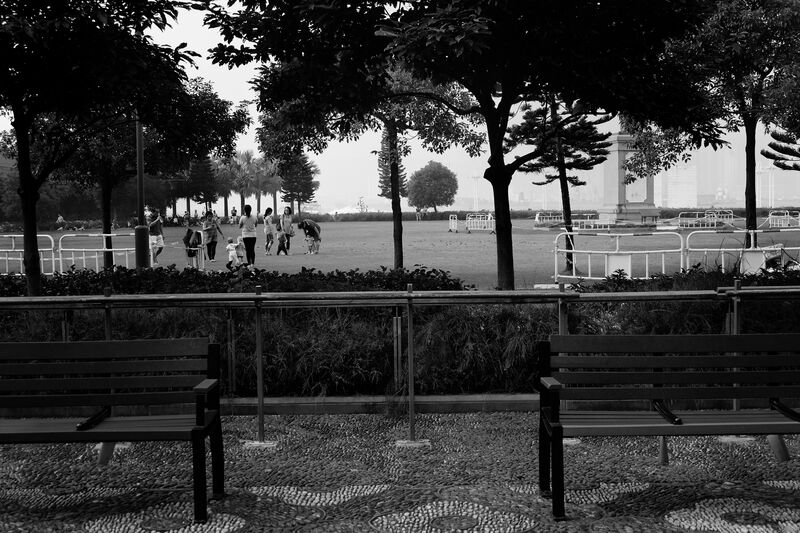 20 Oct. 2016 – Benches at Sun Yat Sen Memorial Park. 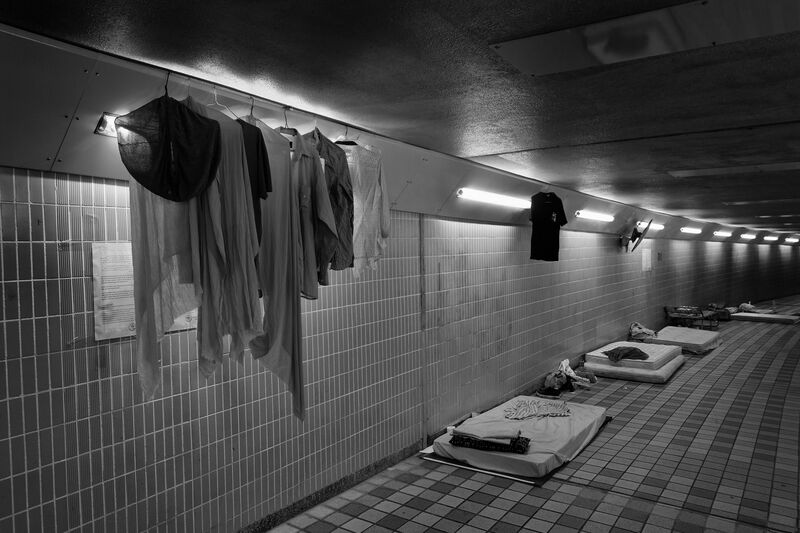 Receiving only HK$1,800 for rent each month from the government, in a city where rents average over HK$3,500 for just a room, Jerry has no other choice but to sleep on park benches, next to vending machines and in tunnels. Refugees in Hong Kong are prohibited by law from working, a law – if violated – can lead to 15 months behind bars. 20 Oct. 2016 – Jerry stands under a bridge outside Sun Yat Sen Memorial Park. For many months, Jerry would sleep in the Memorial Park because it was close to the Refugee Union, helping him save money on transport. He no longer sleeps there out of concerns for his safety. 20 Oct. 2016 – Jerry stares at corner he used to sleep. Jerry receives HK$1,200 worth of food coupons and only HK$500 for other expenses. This meagre sum of government assistance, combined with the law that prohibits him from working, generates a lot of suffering in one of the most expensive cities in the world. 20 Oct. 2016 – Jerry walks towards the tunnel he has called home for the last couple of months. Jerry has been homeless for over a year now. 20 Oct. 2016 – Jerry’s place of rest in a pedestrian tunnel on Hong Kong Island. Although there are no official statistics available, these makeshift homes are often occupied by refugees, as poor social services force them to survive on the streets. The housing situation for refugees is complicated by the fact that they do not receive rent money directly but instead the government gives it to their landlords. This policy has allegedly led to instances of landlords exploiting refugees by skimming the rent money. 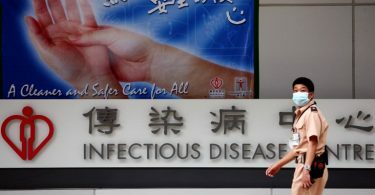 20 Oct. 2016 – Jerry lies on his mattress in a pedestrian tunnel on Hong Kong Island. 20 Oct. 2016 – Jerry poses by a neon sign on Hong Kong Island. There is a intense frustration in his voice when talking about the law prohibiting him from working. Jerry is caught within a system which seems to purposefully neglect his human rights. A system that is systematically structured to force refugees from abandoning aspirations of a future in Hong Kong. Jerry wants the people of Hong Kong to see him and treat him like a human and being human includes the right to make a living. 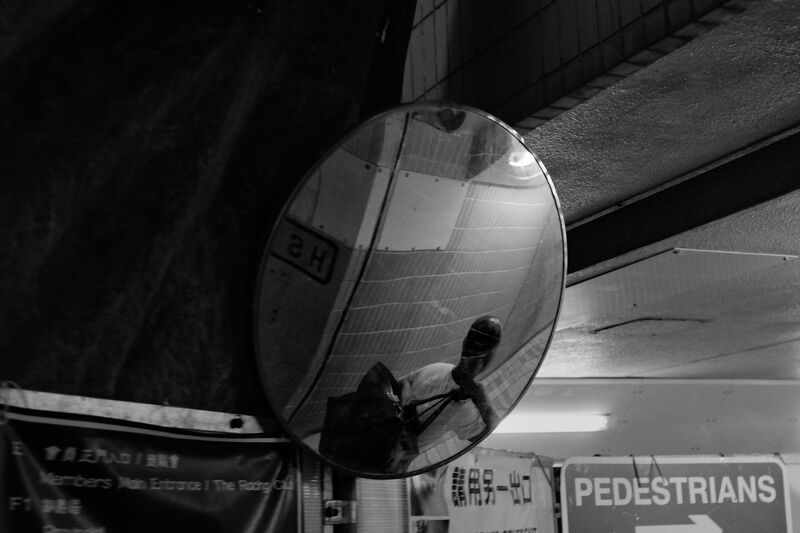 Xaver Konneker is an independent photojournalist born in Germany, who spent his life growing up in Japan, the Netherlands and Oman. He is currently doing his bachelor degree in Liberal Arts and Sciences in the Netherlands. The focus of his degree revolves around cultural studies, investigating identity and its relation to intersections of race, class and gender.